The intelligent voice assistant Siri got better with the iOS 8. Its most important new addition is the Shazam integration. There is no need to ask Siri to recognize a song - just open Siri and let it listen - then it will tell you the name of the song and will provide you with an iTunes link. Another new cool option is voice activation. If your iDevice is hooked up on a charger/cable you can summon Siri by saying "Hey, Siri". Finally, Siri can take dictation in 24 new languages, which will spare lots of people some typing on the keyboard. 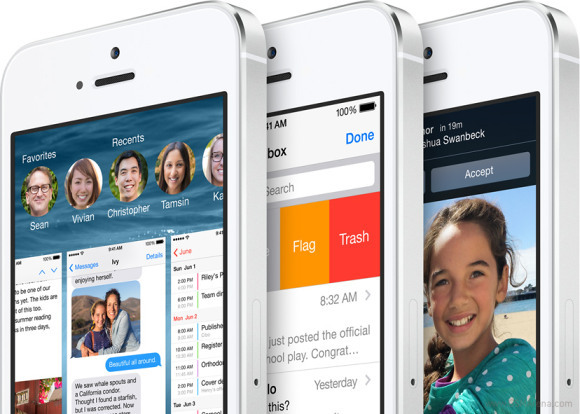 The last major addition in the new iOS 8 is the Family Share setup and features. It allows up to six users to make iTunes, iBooks, and App Store purchases with a single credit card. Family photos, calendar entries and locations can also be shared. The credit card owner and group admin may opt to authorize each purchase requested by other members in the group - i.e. your kids. Thus you have full control over the purchased content - same goes for sharing requests. If Family Sharing enabled on a range of devices, you will be able to find each one of them on a map - handy if you want to know where your kids (or spouse) are at any time. Number 8 is a different iOS update. It's certainly not the complete UI overhaul we saw in iOS 7 but Apple isn't its usual cautious, self-restrained self either. Instead, the new OS version takes in two new directions, unexpected but welcome. The unprecedented access granted to third-party developers will unlock the potential of the platform in a way that will likely put lots of pressure back on the competition. The notification area and Touch ID alone will make a huge difference, but there're things too such as keyboards, the Safari web browser, Gallery and Camera. Even closer, the seamless integration with Macs and iPads via Handoff is another big thing. Apps on different devices can share and exchange data on the same Wi-Fi network and you will be able to start something on one gadget and finish it on another. The call and messaging continuity and the instant hotspots are some nice touches as well. Some of the default apps and parts of the UI have seen improvements and little tweaks under the hood that may go unnoticed but the overall experience will not. There is a lot to look forward to in the fall. 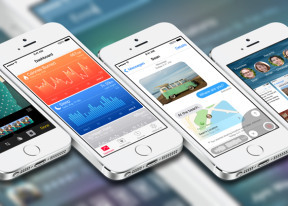 Apple's been dealing lately with a kind of misalignment between hardware and software. The iPhone 5S didn't quite do justice to iOS 7, while the brilliant iPhone 4 deserved a better effort than iOS 4. Although, ironically, the number gap is getting wider, the rumored iPhone 6 and iOS 8 (with the great looks of iOS 7) may finally meet in a way that will make up for a number of past letdowns all in one blow.